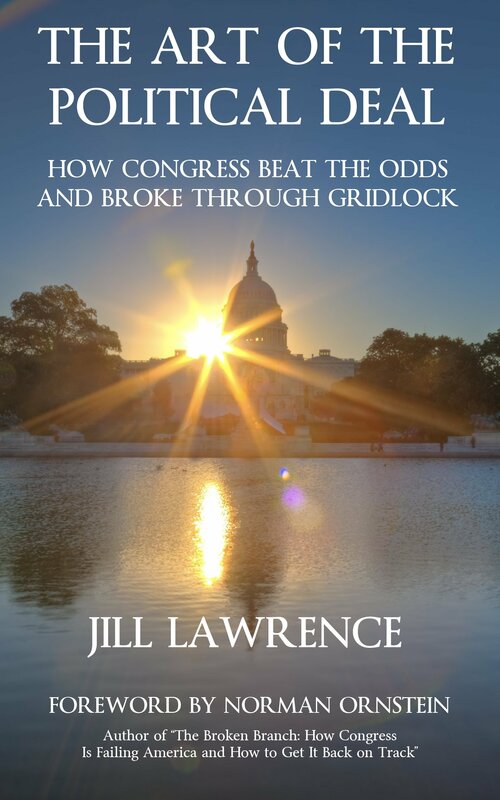 Political Deal: Watch Jill Lawrence talk to Steve Scully of C-SPAN's Washington Journal about her book spotlighting congressional Democrats and Republicans who managed to break through gridlock, and about prospects for compromise in the Trump era. Analyzing the 2016 presidential race: Listen to Jill Lawrence discuss the candidates and the landscape with Marty Moss-Coane and Glenn Thrush on WHYY's Radio Times. 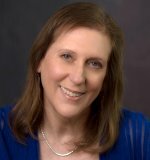 Assessing the 2014 midterms: Listen to Wisconsin Public Radio's post-election interview with Jill Lawrence (her segment begins at the 20-minute mark). Read the Brookings Institution Primaries Project report by Jill Lawrence and Walter Shapiro: "Phoning It In and Failing to Show: The Story of the 2014 House Primaries." Twitter as a tool for journalists: Read Muck Rack's interview with Jill Lawrence. BuzzFeed Michael Cohen Report: Will It Hold Up? Will It Change the Game for Trump and GOP? You Don't Bring a Novice to a Knife Fight. That's Why Democrats Need Nancy Pelosi. Mastio & Lawrence/Should We Trust Supreme Court Nominee Brett Kavanaugh or Accuser Christine Blasey Ford? James Comey Is Back to Remind Us How Donald Trump Got Elected. Some Leader. Next Up for Trump White House, Judge Jeanine and Lou Dobbs? Nothing Should Surprise Us. Mastio & Lawrence/Bill O'Reilly Forced Out But Will Fox Change? Mastio & Lawrence/Is President Obama's Real Legacy Donald Trump? Mastio & Lawrence/Congrats America. You Blew It. Mastio & Lawrence/Who Won that VP Debate? Should Democrats Gun for a Shutdown? Need a Reason to Keep Trump Away from Nukes? Paris. Could Pope Francis Be Donald Trump's Undoing? The Year of Trump or the Year of the Governors? Will Hispanics Reject the GOP Once Again? Who's Plan B? Democrats Are Making a Mistake Counting So Completely on Hillary Clinton in 2016. Can Women Save Democrats in a Republican Year? Cleveland Wins the 2016 Republican Convention. Who Will That Help? Will Cantor's Loss Be a Turning Point for the Tea Party? What Do Voters Owe a Contender of a Certain Age? Why Won't Obama Protect Gay Workers? Why Should Colleges Be Blind to Color and Nothing Else? Is the Minimum Wage Drive a Passing Fancy for Obama and his Party? Will Democrats Let Obamacare Sink Them Again? Is Obama Powerless to Fight Inequality? Obama Says He's Not Worried About Style Points. He Should Be. Do Women Make Better Senators than Men? Is It Time to Take Martin O'Malley Seriously? Click here to see Lawrence's columns for Creators Syndicate. Click here to see her National Journal archive. Click here to see her Atlantic archive. Click here to see her Daily Beast archive.